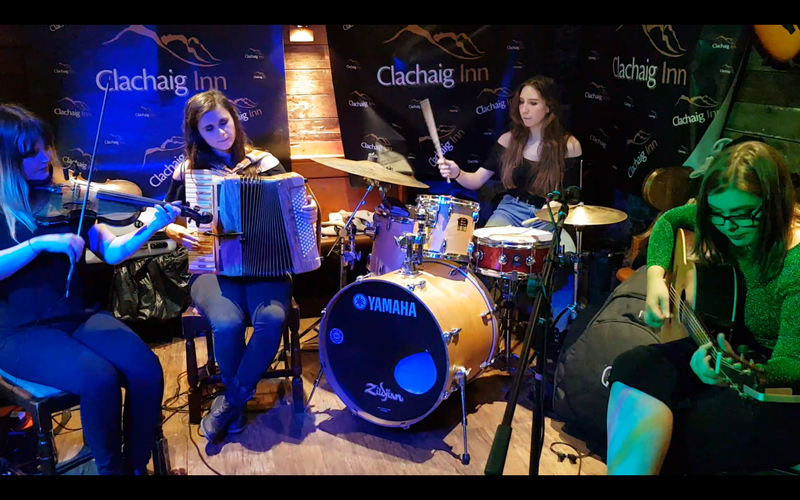 The Full Floor are an up-and-coming young ceilidh band based in Glasgow hailing from four different parts of Scotland. From their varied musical backgrounds, the girls come together to produce a fresh sound with tradition being at the heart of the band. You can expect driving tunes from the Glasgow based Girl band, including 2016 young Trad Finalist and local Girl Hannah MacRae.